What is Inbound Sales for Home Builders? Sometimes the line between sales and marketing gets a little blurry in the homebuilding industry. A lot of times it’s not clear when marketing is done with their job and the work of the sales department kicks in. But sales activity today (just like marketing) has changed over the past few years. It is no longer a matter of “getting someone out to see a model” and then hoping you can close the deal. The sales process for new homes is a lengthy one. It’s important to remember that you’re not really selling a home on your website. Potential clients have a lot of questions they need to answer before they are ready to sign a deal. So how does that impact what sales people do? 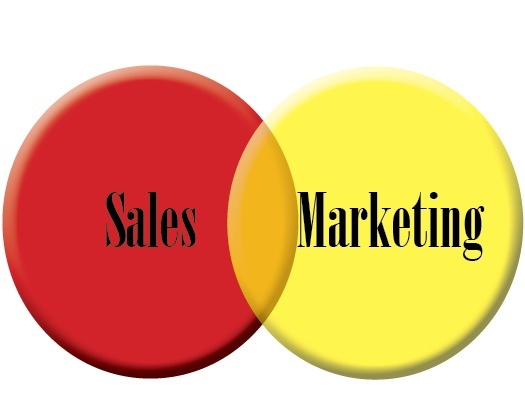 Let’s look at an example of the “hand-off” between marketing and sales. The home buying process is fairly lengthy and involved. Most serious buyers aren’t going to commit to a new home based on a seeing a few photos on your website, or from going out to see a model of a home that may or may not be what they’re looking for. Potential homeowners want—and need—specific information about what’s available, what their options are, and how to evaluate those options. One popular (and effective) way to generate quality leads through your builder website is to offer free downloads of eBooks on those kinds of topics. A prospect might come across a helpful eBook while perusing your website. Or she might read your homebuilding blog that links her to an eBook such as “7 Key Steps to Designing Your Dream Home” and actually provide you with her name and email address in order download that eBook. Does that mean she’s ready for you to invite her out to a model? Probably not. You do want to record that she’s made the download. You’ll want to acknowledge her choice—probably with some kind of auto-response—that thanks her for downloading and offers the option of additional information or the chance to talk to someone. What this does is help to establish you as a trusted resource. It’s all about meeting your prospect’s needs—not selling your solution. This person is still in the marketing process. At some point (and this will vary from prospect to prospect) she will want specific information that your general eBooks and white papers don’t cover. That’s when she moves from being a prospect to a marketing qualified lead. This is when the prospect is handed over to Sales. But even at this stage, the salesperson will want to probe further to find out if the lead needs more information. The sales person can follow up (with emails or a call) to see if the additional information provided was helpful. When most of the big questions have been answered, that’s the time to ask if your lead would like to see a model. People like doing business with people they trust and with people who help them answer their questions and solve their problems. For salespeople in the homebuilding industry, that means respecting the process people have to go through before they are ready to make a decision—and providing the kind of help that makes that decision easier.